Now that Fantasy Premier League is open for registration, managers can assemble their 15-man squads and make unlimited transfers up to Friday 11 August. Many will look first to Mohamed Salah and Harry Kane. But their prices of £13.0m and £12.5m make buying budget players so important. This is where promoted players can help. As we saw in 2017/18, players from promoted teams can offer a rich source of value. In terms of points per million (ppm), Pascal Gross (£7.0m) was second only to Salah among all outfield players. His 27.8ppm trailed the Egyptian's 28.6. Ayoze Perez (£6.5m) of Newcastle United was the top forward for value, with 22.5ppm. Championship winners Wolverhampton Wanderers offer a number of options. Their 82 goals scored and 24 clean sheets kept were both more than any other side. 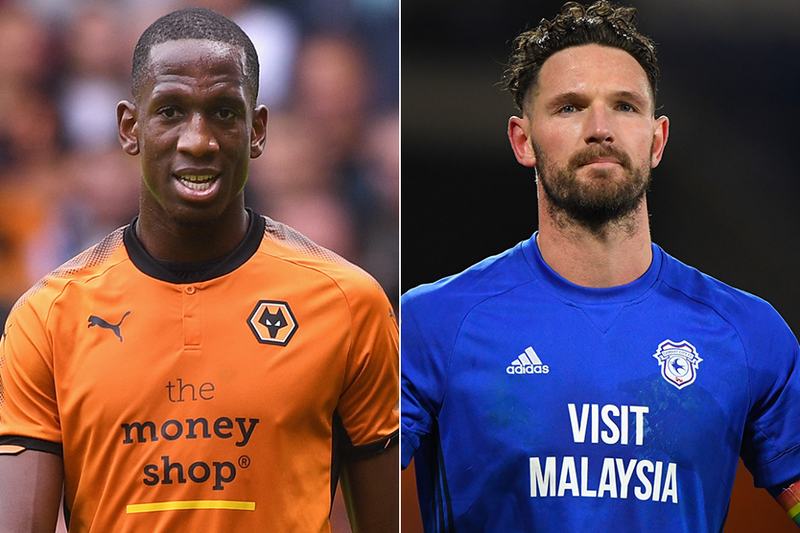 Centre-back Willy Boly (£4.5m, pictured above left) produced 279 clearances, blocks and interceptions (CBI) last season, more than any team-mate. That contribution suggests that he could earn bonus points when his side earn a clean sheet. But it is the more expensive Barry Douglas (£5.0m) who could be worth the extra outlay. Listed as a defender, the attacking wing-back plays on the left of a 3-4-3 formation and produced five goals and 14 assists last term. Diogo Jota (£6.5m) is another who offers the potential for attacking returns. The midfielder fired 17 goals last season and his 120 shots ranked second in the Championship. Cardiff City were just as resolute as Wolves, also conceding only 39 goals. This suggests that investment in Neil Warnock’s defence can pay off. Their new goalkeeper Alex Smithies (£4.5m) has saved six penalties in the last three seasons. That is more than any FPL player. Centre-back Sean Morrison (£5.0m, pictured above right) offers an excellent attacking threat, having scored seven goals last season. Cardiff will also look to summer signing Bobby Reid (£5.5m) to supply a cutting edge. The forward produced 19 goals and seven assists for Bristol City in the Championship last season. Along with Jota of Wolves, Ryan Sessegnon (£6.5m) is the most expensive promoted player. The Fulham star delivered 15 goals and eight assists while playing on the left of a front three last season. Fellow midfielder Stefan Johansen (£5.5m) carries a major threat from set-pieces. His 92 chances created were more than any Fulham player as he returned eight goals and nine assists.